A video series using science and fact to explain why plastic is such a huge problem. Find a better way to illustrate the plastic problem and spread the word about the viable alternatives. Ocean plastic, microplastic, plastic waste.... we're drowning in plastic! How do we solve our plastic problem? Watch the Our Plastic Predicament video series below to get all the facts you need. We've all heard the news, we have a plastic problem. But what exactly is wrong with plastic? Read our handy cheat sheet here. In our second episode, we're taking a close look at plastics. How close? Molecular. The reason that we're drowning in plastic is simple - plastic doesn't breakdown. But why? What does bioplastic actually mean? 10 minutes to get the full bioplastic picture. Think you’ve got your head around the science of plastic? See if you can beat our scientist. Only 2% of the world’s plastic is properly recycled. Why is recycling alone not the answer? Apart from being more sustainable, can bioplastics truly match up to oil-based plastics? These infographics can help to convey the scale of the problem we are facing, along with the simplicity of some solutions. What are these resources for? These resources are intended to help you to understand the full picture of bioplastic. Who has created these resources? 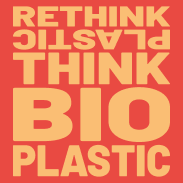 The team behind #ThinkBioplastic has created the majority of the resources on this page. Essentially, we have streamlined a lot of noise and debate into helpful and digestible resources which can be easily distributed and shared. Can I share the resources on this page? Please do. 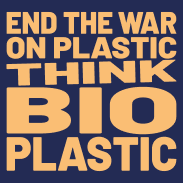 We ask that you credit #ThinkBioplastic and link the recipient to our website or social media channels if possible. I’d like my work to be featured on this page. Who do I contact? 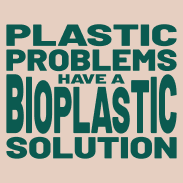 Please get in touch with us by email at info@thinkbioplastic.com.